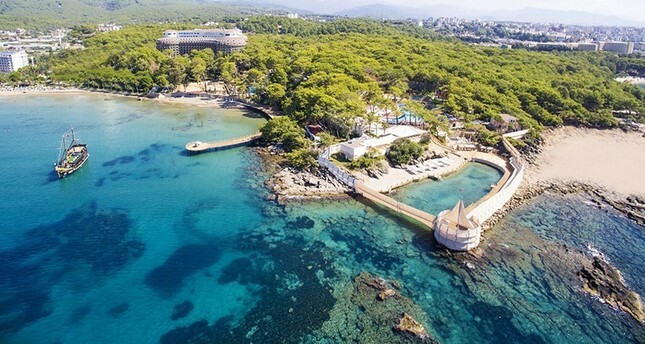 "We are anticipating that we will reach the 12 million-tourist mark in Antalya in 2018," Mediterranean Touristic Hoteliers Association (AKTOB) President Erkan Yağcı said during the group's meeting on Tuesday. "Russia and the European market are the backbones of Turkey's and Antalya's tourism," said Yağcı, adding that the European market could reach 2014-type numbers. The number of tourists visiting Turkey reached an all-time high of 37 million in 2014. In an interview with Anadolu Agency, former Minister of Culture and Tourism Ömer Çelik said Turkey had managed to attract 5.5 percent more tourists in 2014 compared to the previous year despite the political and geopolitical crises around the region. "In 2014, the number of foreigners visiting our country rose to 36.8 million from 34.9 million with a 5.5 percent increase compared to previous year," Çelik said. Separately, Russia sent more visitors to Turkey in 2017 than any other country, around 4.7 million, according to an Anadolu Agency analysis of Interior Ministry statistics released on Feb. 14. Germany followed with 3.5 million visitors in 2017, then Iran with 2.4 million. The total number of visitors to Turkey rose from 24.6 million in 2016 to 32 million in 2017.